A place to grow what? Well, there isn’t enough room on the licence plate to explain all of that information, so you’ll just have to use your imagination. Perhaps it means that Ontario is a place to grow pot, now that it’s legal, or grow school class sizes when the Ford government cuts teaching jobs. And therein lies the problem — it’s an ambiguous slogan. Sure, as CBC notes, it’s derived from the tune “A Place to Stand,” which, “has been an unofficial anthem for Ontario since its use in a film that played at the province’s pavilion at Expo 67.” Still, it just doesn’t encapsulate Ontario. Now what, you may ask, is the big deal about a measly licence plate slogan anyway? It turns out it’s a hot-button issue for Ontarians. As CBC’s provincial affairs reporter Mike Crawley pointed out on Twitter on Tuesday, “People keep saying that changing a licence plate slogan is unimportant, the Ford government is just trying to distract from cuts in its budget. FWIW, the most-read story on the entire CBC website right now is about the new licence plate slogan.” So clearly, people care. That’s because it’s not just about a licence plate slogan. If you’re an Ontarian driving your car anywhere, that slogan follows you, sending a message to people about what Ontario stands for, what we value and how we perceive ourselves while setting the very tone for our province. Of course, that message is diluted when it appears on a tacky vanity plate that reads “BABEMGNT,” but that’s beside the point. 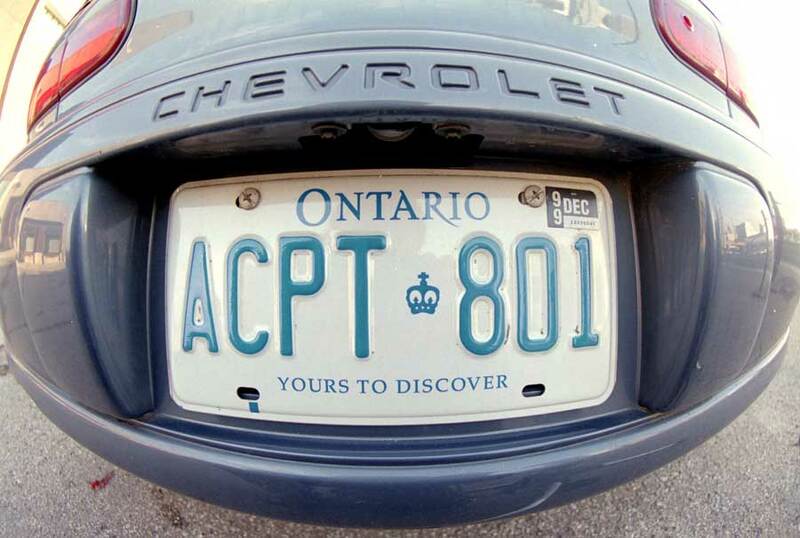 These license place slogans highlight their province’s strengths in a powerful, distinct and memorable way. Who wouldn’t want to visit the “Land of Living Skies?” But if those provinces had gone a more literal route? The literal slogans just don’t have the same impact. And Missouri’s licence plate slogan, “Birthplace of America’s Music,” Idaho’s “Famous Potatoes” and Louisiana’s “Sportsman’s Paradise” all offer inspiration for touting provincial exports/activities with a local flare. Of course, you don’t have to choose a winner just yet. That’s the beauty of Ontario. It’s a place for an idea like this to grow on you.